Dealer Marketing Magazine accepts submissions of articles from automotive industry experts who are interested in sharing their knowledge and experience with our readers. The goal of each article is to teach or share insight with an automobile dealer. We invite you to reveal your experiences and share stories regarding the use or implementation of your product or service. Submissions should range from 500 to 850 words. Please proof your own submission prior to sending. Although we edit all work submitted, it is up to you, the author, to make sure that your work is press-ready. We reserve the right to deny publication of any questionable material. We also reserve the right to edit any submission. Upon article acceptance, we request that writers provide a high-res (300 dpi) headshot photo and a short bio. Please include contact information in a brief bio for our readers so that they may contact you with inquiries. 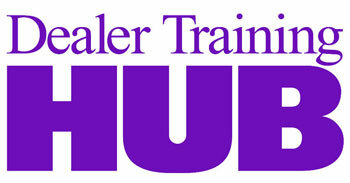 Dealer Marketing Magazine is a trade publication that goes to all new car dealerships each month. Our focus is on editorial content that educates and enlightens auto dealers using how-to and thought leadership articles. Although we may carry some news or industry information that relates to our goal of teaching, we are not a news publication. Our secondary goal is to help vendors who offer valuable services or products to auto dealers to reach our dealer readers. Since many of the products and services described in our articles, the vendors who sell the products or services are typically experts in their field. As a vendor writer for DMM, your goal should be to teach our readers about the industry niche your product or service addresses, but your article should not be a sales pitch. We will edit articles appropriately if they are determined to be advertorial instead of educational or informative. We believe that our readers understand that many of our expert writers work for vendors. Although such an editorial approach would be frowned upon at a news-oriented publication, it is our intention to give a voice to the vendors as long as they are educating about skills and concepts rather than pitching their product or services. We feel this policy allows us to do a better job of teaching dealers than any other publication. You are not required to buy advertising to write an article for DMM. Many of our writers do not buy advertising. Also, we will not accept editorial content if we determine it is inappropriate for the magazine, even if you are buying advertising. In such a case, however, we will advise you on how to create an acceptable article. One of our main goals in the magazine is to create an environment where dealers can learn about vendor products, services, and innovations. This is good for the dealer and good for the vendor. We believe this is the best way for dealers to understand new products and services. Vendors are often the foremost automotive authority on a particular subject. If you wish to submit an article to Dealer Marketing Magazine, please submit it to Editor in Chief Kurt Stephan via email at kurt@dealermarketing.com. Articles submitted will not be returned and become the property of Dealer Marketing Magazine. If article submissions or inquiries do not meet the editorial guidelines spelled out on this page, we cannot guarantee they will be responded to or considered for publication.